Telangana State Public Service Commission (TSPSC) has released a notification for Schedule of The Medical Board for the Post of Prohibition and Excise Constables in Excise Department (Govt of Telangana), Advt 06/2016. 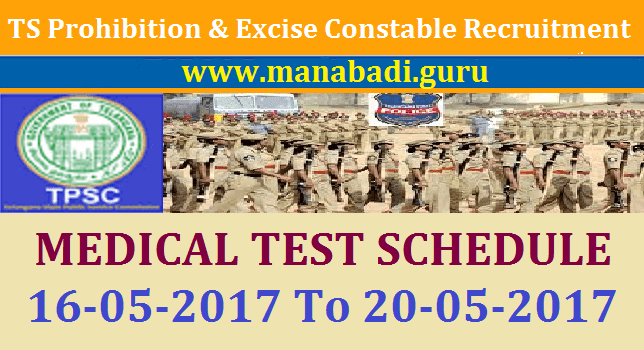 The medical fitness test of the shortlisted candidates, shown in the below link, will be conducted from 16.05.2017 to 20.05.2017. Check your status of candidature at here. The medical fitness test of the shortlisted candidates will be conducted from 16.05.2017 to 20.05.2017.